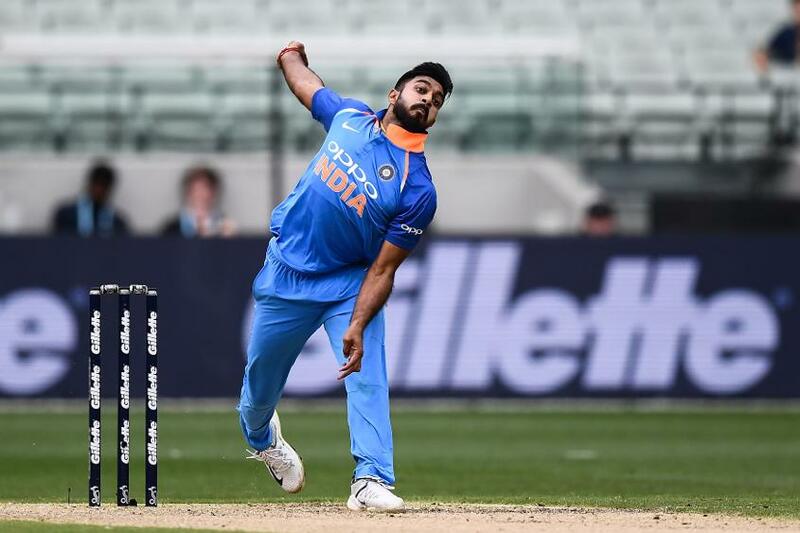 Emerging all-rounder Vijay Shankar once again impressed for India with a quick-fire 43 in the their loss in the third T20I, and he was in positive spirits despite New Zealand edging his side to a 2-1 series victory. 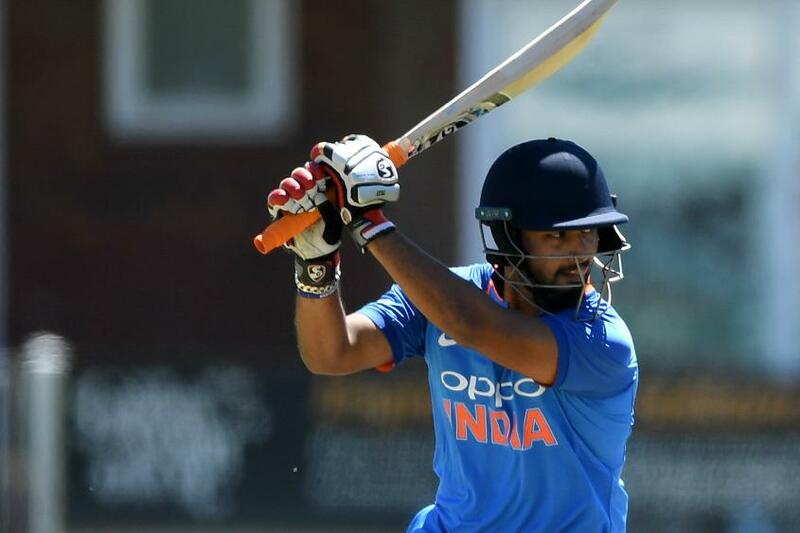 Aside from his knock, cameos from Rohit Sharma (38), Rishabh Pant (28 from 12) and Hardik Pandya (21 from 11) had put India within touching distance of the total, but Krunal Pandya (26*) and Dinesh Karthik's (33*) valiant efforts could not quite get the tourists over the line. It is India's first T20I series defeat in their last ten efforts. Just five runs short of their 213-run target, 'one hit' would have swung the tie, says Shankar. "We played really well right through the 20 overs that we batted and everyone was trying to be positive to get to the total," he said. "It was just one hit away, and could have been different on another day. We would have definitely loved to win this game, but I think there were a lot of positives from everyone." Shankar's impressive first-class and List A records earned him a call-up to India's side for the final ODI against Australia in January, and after scoring 45, he was then included in all but one of the limited-overs matches during India's tour of New Zealand. He was economical with the ball in the recent ODIs, albeit wicketless, and a couple of fiery knocks to boot have placed him strongly in contention for a Cricket World Cup spot. He spoke about the 'freedom' that the India batsmen are encouraged to play with and how it brings the best out of him. "The freedom that we get from this management is the best thing for us," he said. "I think T20 is a game where you can not be rigid in thinking, you need to be really flexible. As batters, we need to be really open and know the situation and be aware of what’s happening around. Whether it be the breeze or the bowlers, we think a lot about all these things." Shankar did not get carried away when assessing his own prospects or his recent performances, and is treating his time in the international arena as an excellent way to develop his game. "The matches that I’ve played so far I did reasonably well. I could have done a lot better, but as I said earlier, it’s great learning for me, and I’m just looking to get better every day," he said. "If they ask me to bowl I have to be ready for that and with my batting, it was a big surprise when they asked me to bat number three in the first game. That’s a good thing for me, and I think I did reasonably well in that. For me it is about playing the situation. If I can play the situation and win matches for my team then that will be the best thing for me." One player whom Shankar wishes to emulate the successes of is the resurgent MS Dhoni, who played his 300th T20I for India in the series decider. "Someone like him (Dhoni), everyone will look up to him. He’s a legend and he’s won so many matches for his country, and even the last couple of games we batted, for someone like me, I enjoy watching that and I try to learn a lot from watching each and every player in our team. "He has done a lot for the team. I see how he chases the total, everything is great learning for me." India must now turn their attention to Australia, with the two-game home T20I series starting on 24 February, before a five-match ODI campaign.